Over time, the vent located on your dryer will start to collect a ton of lint and other debris. When fibers, dust, lint, and other residue collects, it can cause your dryer to overheat, which can lead to fires and in serious cases, deaths. The Consumer Product Safety Commission reported in May of 2003 that 15,000 fires occur every single year due to dryer vent accumulation. Dryer fires don’t just lead to fatalities and physical injuries, but they can also produce $10 million worth of property damage. The number one way to prevent dryer fires and to avoid mechanical malfunctioning is to get professional duct cleaning services from the experts at DRX Duct Cleaning in NJ. We have performed over 25,000 dryer vent cleaning services in NJ and we work closely with homeowners associations in compliance with Dryer Cleaning codes in North Plainfield and Bridgewater, NJ. By using state-of-the-art tools, and the combination of 250 pounds of compressed air, we are able to give you desirable results that will eliminate the threat of potential fires. 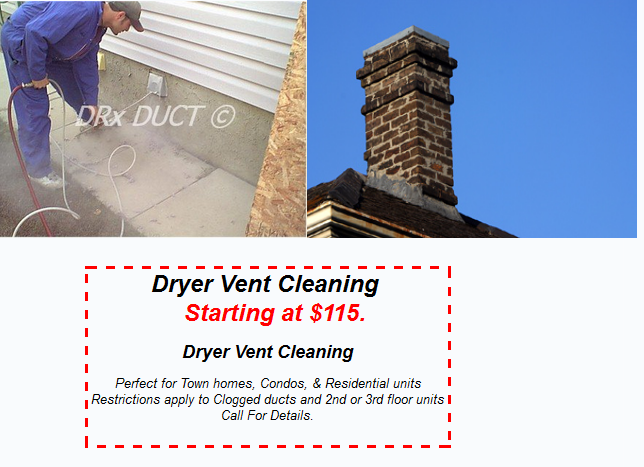 If you’re looking for dryer vent cleaning in NJ, call DRX Duct Cleaning. today at 908.755.2950. In addition to preventing fires from happening, there are other additional benefits of getting dryer vent cleaning in North Plainfield and Bridgewater, NJ. Improve Lifespan of Dryer: The culprit of mechanical breakdowns and malfunctioning are due to the accumulation of lint and other residues. A clean vent will prevent this from occurring. Clothes Dry In Less Time: Because of dirty dryer vents, it takes longer for your clothes to dry at a reasonable time. One of the advantages to dryer vent cleaning is cutting the time of drying clothes. Decrease Dryer Breakdowns: As stated before, lint and other debris can really affect the performance of a dryer, which is why dryer vent cleaning is very crucial. Save On Energy Spending: Since a contaminated vent can make your dryer run longer than it should, it can cause an increase in energy bills. Cleaning a dryer vent will deliver a better functioning dryer, as well as an improvement in energy costs. 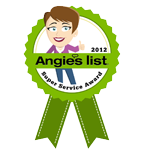 Are you interested in dryer vent cleaning in NJ? 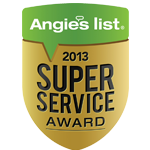 Call us today at 908.755.2950 to schedule an appointment with one of our licensed technicians. When you need dryer vent cleaning in North Plainfield and Bridgewater, NJ, you can rely on the technicians at DRX Duct Cleaning to take care of your dryer vent cleaning needs. It has always been our goal to deliver high-quality work for our customers by providing dryer vent cleaning services that will keep them and their home protected from dryer fires. 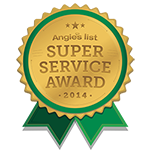 We take great pride in our work, offering exceptional dryer cleaning that is efficient, precise and has no hidden costs or fees. Our company recognizes that our customer’s time is important, which is why we schedule appointments that are convenient, delivering service that is quick and efficient. Call our qualified HVAC technicians today at 908.755.2950 for amazing dryer vent cleaning in North Plainfield and Bridgewater, NJ that is able to give you better peace of mind. Updated on September 24, 2018 at 9:06 pm by DRX Duct Cleaning.